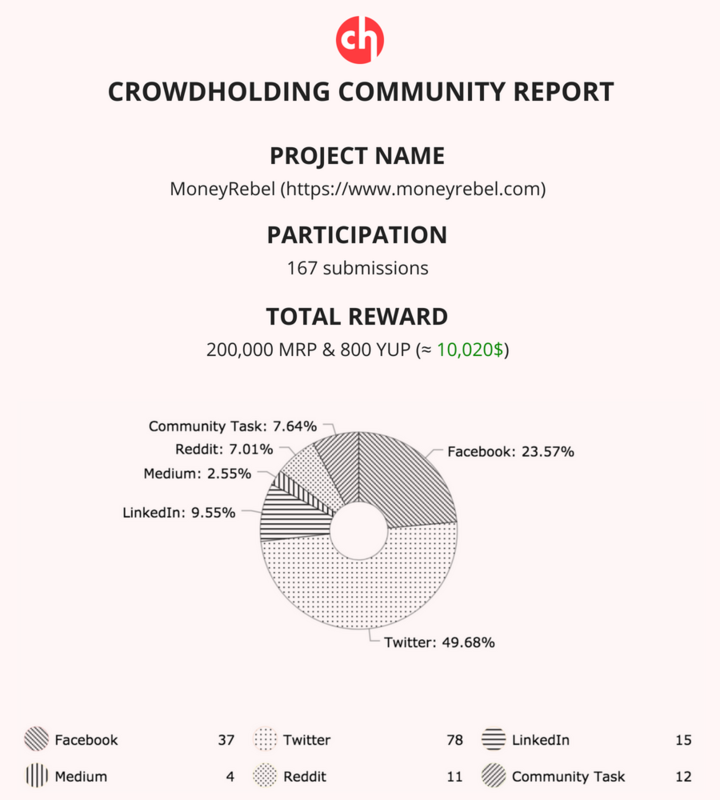 MoneyRebel successfully completed their Community & Bounty campaigns, raising awareness and growing their crowd. Crowdholding is a place where companies and the community collaborate to build better businesses together. Full transparency and honesty are the undeniable values of our project in all times. We respect and value every participant in our global community. 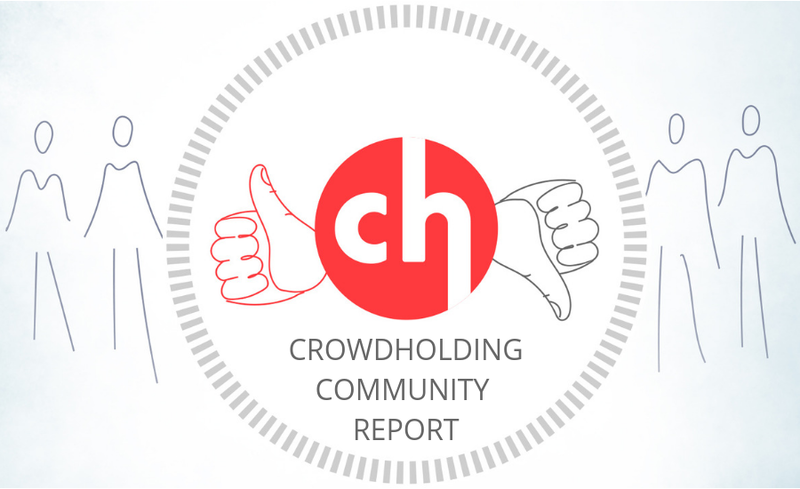 Community Reports are statements issued to disclose a variety of statistics related to the community & bounty campaigns hosted on Crowdholding. These summaries are created after each campaign to allow you (the crowd) to know about the results and key metrics. The contribution of each member is equally important to us. According to all published agreements, today we openly announce a report on the number of all stakes during MoneyRebel bounty. No participant was forgotten. Each stake was transferred to tokens, according to our rules. 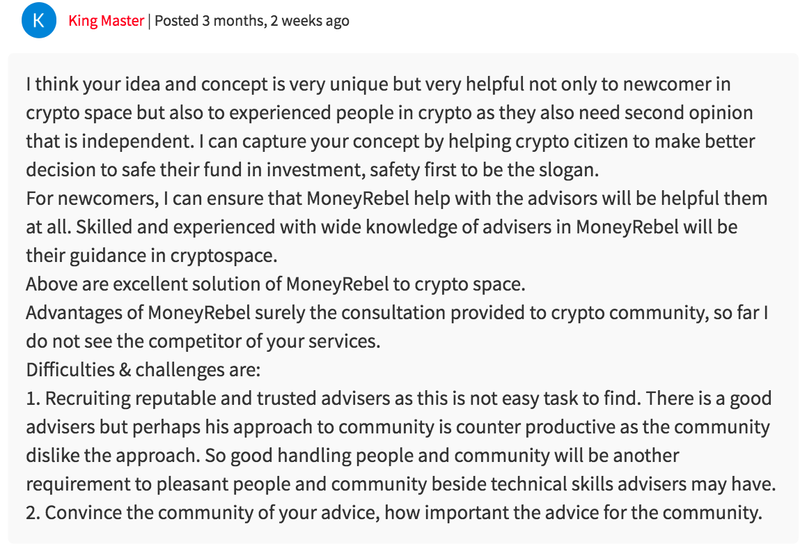 MoneyRebel was closing in on their ICO and their effort to host a bounty campaign on their website proved to be not completely successful. That is when they turned to us in order to boost their community in the last days before the ICO. Their bounty campaigns on our platform were live for 13 days, starting on 2/5/2018 and ending on 15/05/2018. A total of 167 submissions were received across the 5 bounty campaigns and 1 community task. On June 8th, 2018 a total of 200,000 MRP & 800 YUP (≈ $10,020 at date of transfer) tokens were allocated to participants’ wallets. We’d like to thank everyone who took part in the community & bounty programs, all of you guys who helped spread the word about MoneyRebel. The Crowdholding community values transparency and MoneyRebel received feedback regarding their project directly from them. Many thanks to #KingMaster & #RandyTice for their incredible submissions. There are new community and bounty tasks on Crowdholding every day. 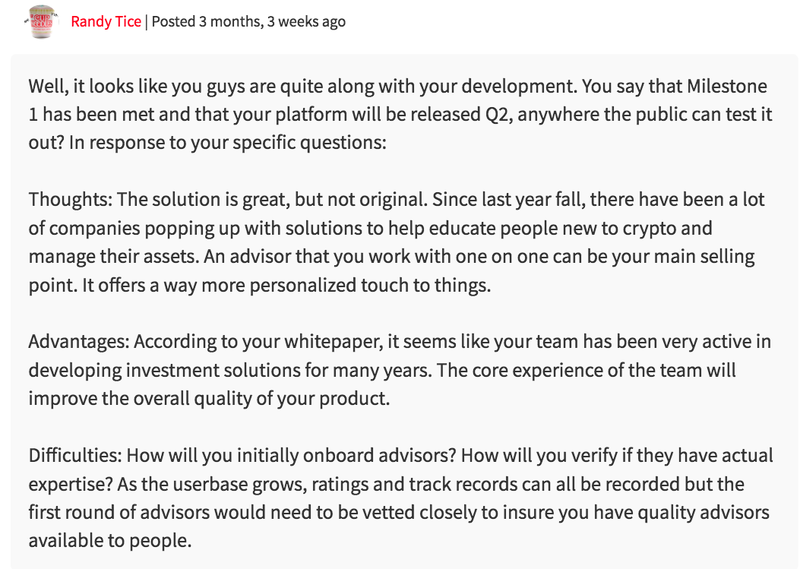 Give advise to startups and share their content to get rewarded with cryptocurrency.